During the 1950s and early 1960s, the West German government refused to exchange ambassadors with Israel. It feared Arab governments might retaliate against such an acknowledgement of their political foe by recognizing Communist East Germany–West Germany’s own nemesis–as an independent state, and in doing so confirm Germany’s division. Even though the goal of national unification was far more important to German policymakers than full reconciliation with Israel in the aftermath of the Holocaust, in 1965 the Bonn government eventually did agree to commence diplomatic relations with Jerusalem. This was due, the author argues, to grassroots intervention in high-level politics. Students, the media, trade unions, and others pushed for reconciliation with Israel rather than the pursuit of German unification. 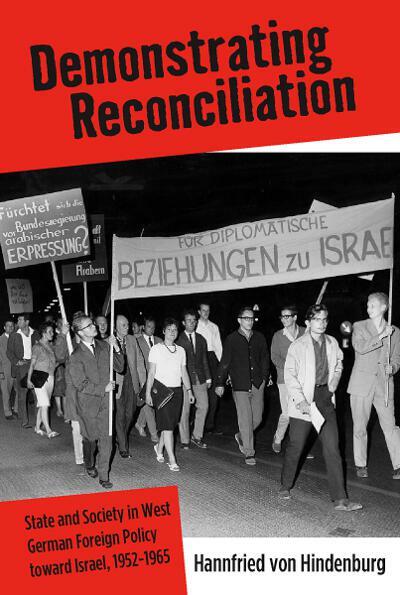 For the first time, this book provides an in-depth look at the role society played in shaping Germany’s relations with Israel. Today, German society continues to reject anti-Semitism, but is increasingly prepared to criticize Israeli policies, especially in the Palestinian territories. The author argues that this trend sets the stage for a German foreign policy that will continue to support Israel, but is likely to do so more selectively than in the past. Hannfried von Hindenburg has held a number of positions in both academia and journalism, and has published on issues of international relations and foreign policy. He worked as a research fellow at Free University’s Center for Transatlantic Foreign & Security Studies before joining news agency Reuters, where he served as Head of Reuters Business Television in Germany. He currently works at the World Bank Group.